I feel kind of feel bad for announcing J. Alabama’s deployment awhile back and then sort of leaving you in the dark after that. There were obviously many reasons for that… OPSEC (Amy said it best), my personal safety while I was staying alone in Texas, as well as the idea of putting my emotions out on the internet about this delicate situation kind of scared me. I can happily say that we are now a few months into the deployment, and I’m a bit shocked at how quickly it feels like its going. I’m not going to say that it’s been easy, because it hasn’t at times. But I’ve also handled myself emotionally way better than I thought a pregnant woman living alone with her husband at war could. I think it has also helped knowing that the living alone part was only temporary, as my parent’s have graciously invited me to live with them during the deployment. Seriously the best idea ever especially since I will have the little guy at the end of April. I have made many efforts to connect with people at Fort Bliss, get involved with the FRG & other organizations and even tried looking for a job, but these types of things take time. And with my ever growing belly and the shorter timeline of baby coming I knew being around my family in a comfortable environment and with their help would be the smartest choice for many reasons. So with that I’m making the move back to Idaho until J. Alabama returns. Since making this decision I’ve felt more at ease with the idea of deployment. Most likely because I’m now not just sitting by myself counting the months, weeks, days and hours until his arrival. I’m going to be surrounded by family, friends, and an already connected social calendar when I get home to help the time fly a little bit quicker. The hardest part about the deployment for me is not being able to tell my husband everything that is going on. Our contact with each other is very random, and it may be days between a single email, or weeks between calls. So by the time I get to talk to him my pregnancy brain kicks in and I have to remember all the fun and important stuff to tell him in a short amount of time. We have not been able to skype yet, but I periodically send him pics of the baby bump so he can still be a part of this pregnancy experience. Being around other military wives has helped me to sort of feel better about this situation, as we are all going through a similar experience. But at times it also makes me even sadder because it’s sort of looming over all of us here. Being back home around family and friends is uplifting because it feels like I’m on vacation or something. Though at times it can be tough too because I don’t think everyone can quite relate to what I’m going through. All in all, I would say that I am blessed to have a huge support network of family and friends wherever they live! I know I’ve got my Mil-spouses to call on when I need to talk military, and I know I’ve got the comfort of my family to keep my spirits up too. 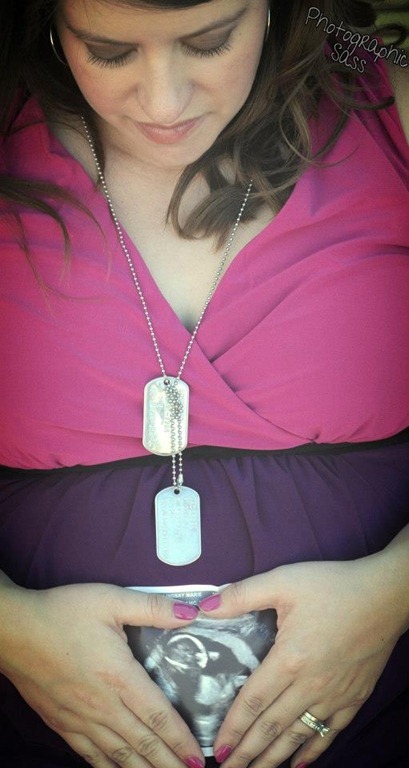 I knew deployment wasn’t going to be easy, especially with a baby on the way. But so far I’d say I’m doing better than I thought I would be. Also I’m just happy that we are a chunk of the way through! This entry was posted in Deployment by The Linz. Bookmark the permalink. This seems like a great choice for you! Better to be home and with family especially as you get closer to delivery. I would be so scared to be alone and worry about going into labor alone. Hopefully the time will fly by. I am finding that keeping myself busy is just much more fun than sitting around. I am sure it will help you too! It sounds like my BF left around the same time as your husband. Wouldn’t it be funny if they worked together. Haha. Glad you were able to move home. That must be a huge weight off your shoulders with the baby coming. I cant even imagine… I am so happy that you are able to travel back with your family while he’s gone. Having a baby is hard, having a baby in a new-ish place without family is super hard. Praying for you in this transition! Thank you SO MUCH for sharing this part of your journey with us! I find it very interesting. I think going back to stay with your family is a wonderful idea. Even though you want to connect with the people in TX, your family can really support you now. I bet J. Alabama just LOVES getting those baby bump pics. Can he read the blog or see Facebook from where he is? Sounds like you’ve thought your choice out and made the decision that’s best for you and that’s awesome. Enjoy the time with your family and I’m sure it will definitely make it easier on you. Especially with little guy on the way. Love the new pics. You are handling this fantastic Linzi, don’t know if I could be as strong as you are in this situation. I’m truly happy for you that you will go back to Idaho till he returns. You won’t be alone till he gets back. I hope he will be back to see his baby boy brought in this world. When Stephen was deployed, part of me wished that I was on post or in a military community. The people I worked with had no concept of what I was going through. But, they tried very hard to be supportive and they knew me. Plus, I lived near my family. For a deployment, having a good support system makes a big difference and I had that (even if they didn’t always get it). Sounds like Idaho is going to be the best place for you! I’m glad you are able to move back there for a little while. I’m so happy you’re going home where you’ll be with family and friends. I’m sure it was a difficult decision, but one that will be great in the end! I’m sure that took a huge weight off your shoulders. Oh my goodness, you are so strong! Kudos to all women who deal with life and kids and pregnancy without their spouses! That has to be so hard! You’re doing a great job! I agree with the lady at FoodFaithFitness… you are strong! I think it’s wise and awesome that you will be with your family in Idaho during the final months of your pregnancy and when Baby Alabama is born. I’m also sending lots of prayers your husband’s way so he can come home soon! You are so strong! I don’t know many people who would handle your situation as good as you do. How long will your husband be gone? I hope you can reunite soon! He will be gone for less than a year, so we still have a ways to go! But I feel like it’s going by quickly! That is good to hear! 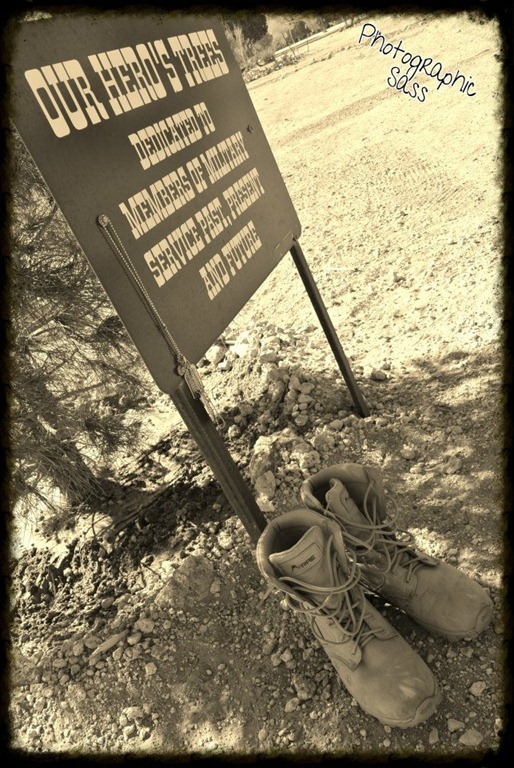 A friend of mine went with her husband and 3 month old to Kenya for 3 years and now he is going by himself to Afghanistan for 1 year. It always amazes me how strong military wifes are!